Over the last two years, WRF has been working closely with ProsthetiKa Inc. of California in developing assessment and training projects aimed at improving prosthetics and orthotics service delivery in Latin America. Contact us to learn how you can support the short term initiatives. World Rehabilitation Fund in collaboration with the Euromaidan Canada, Ukrainian Canadian Congress (Toronto, Canada), ProsthetiKa, non-profit organization (USA), Canada Ukraine Foundation (Canada) has been working on the Ukraine Prosthetic Assistance Project. World class prosthetists and occupational/physio therapists are coming to Ukraine as volunteers to share their knowledge and experience in the field of advanced and complicated prosthetics with Ukrainian specialists. As a result of the project Ukrainian prosthetists will be able to construct, model and fit advanced quality prosthesis independently and offer follow up service of these prosthesis locally and free of charge for the amputees. 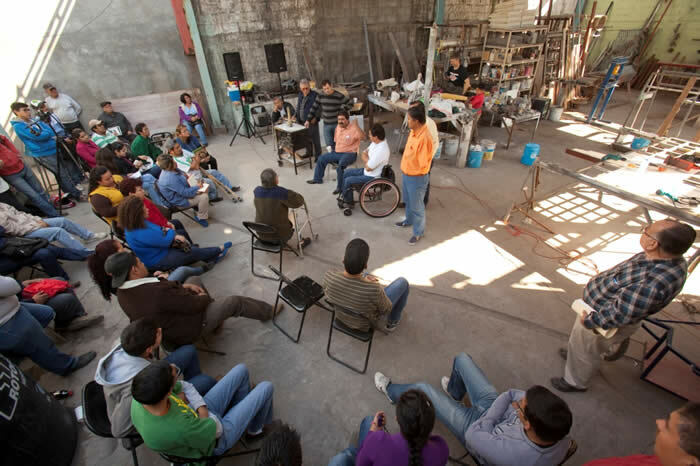 In July 2013, ProsthetiKa experts supported by WRF conducted training and technical assistance to rehabilitation programs in Cochabamba and La Paz, Bolivia. WRF also was able to recruit the help of Bolivia Partners of the Americas to help organize these events. 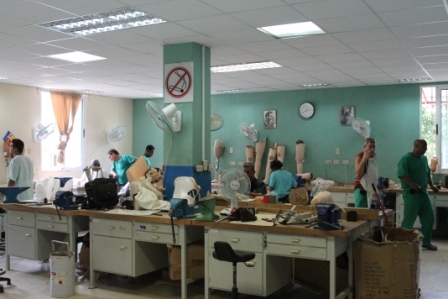 In Cochabamba, prosthetic/orthotic experts sent by WRF and ProsthetiKa worked with local technicians to develop and improve their P&O skills using locally available plastics. Patients were evaluated and appropriate devices were fabricated by local service providers guided by our team of experts. In La Paz, training and technical assistance was provided to staff of the Centro de Miembros Artificiales in that city. In 2014, WRF cosponsored the visit of a delegation representing the US branch of the International Society for Prosthetics and Orthotics (ISPO) to explore future relationships between service providers in the US and their counterparts in Mexico. As a result of this visit, both sides agreed that exchanging ideas and accomplishments would be mutually beneficial. Cuban representatives pointed out several areas of knowledge in which they would like to receive instruction from US experts. It was agreed that a joint US-Cuban conference would be planned to take place in Havana in the next year or so. In October 2014, a visit was arranged by WRF to allow a needs assessment to be conducted in a facility that we learned about that is located in Ibarra, Ecuador. The facility called Protesis para la Vida, was developed with help from an American husband and wife team (prosthetist and physical therapist) who had trained local persons to develop devices to help persons with disabilities in the area-services previously unavailable in that part of Ecuador. The assessment found that the staff was fairly well-trained and the equipment of mostly good quality. Recommendations are to utilize more inexpensive materials to cut down the cost of service delivery. Also there were needs for improved equipment such as a larger oven and a vacuum pump. Santiago de La Monclova is a city of nearly 300,000 people in the North of Mexico in the state of Coahuila, just south of Texas. This is a region that has been steeped in violence due to clashes between the government and drug cartels. Despite the unrest, the city has been involved in trying to develop programs and initiatives to help the disabled people of the area. WRF partnered with ProsthetiKa, a California based group, to conduct a short-term training to help the community in Monclova. The consultants conducted a week long session to 45 participants: students and local prosthetists in training. The training also inspired the Monclova Mayor’s Office to consider developing hand-powered tricycles to help persons with disabilities transport themselves. Following the intervention in Monclova, the local community had put together a small Prosthetics/Orthotics service and began to fit people with disabilities.